Live Blood Analysis uses a small drop of blood from the fingertip. The living blood is placed immediately onto a glass slide under a microscope where it is viewed under a special microscope called darkfield microscope. 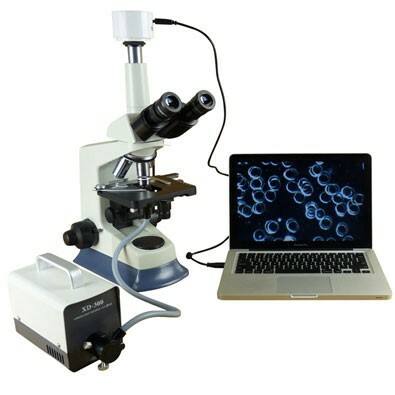 You will be able to see your blood live when the magnified image is projected onto a high resolution monitor! Watch the state of the cells and the environment in which they live. The size, shape and ratios of red cells, white cells and platelets in the blood will be analysed. This technique is valuable for the early detection of serious health conditions. Further, it is possible to see the stage of pathological development the body is in. Dry blood analysis involves taking a tiny pin prick of blood from a finger and "dabbing" the blood 8-16 times on a microscope slide. The blood is then left to dry in the open air. Once dried, it is viewed under the high-powered microscope and magnified onto a live high resolution monitor so that you can see how well your blood has coagulated. Dried blood cell analysis gives us an indication of what's going on inside the body. It also signifies what is taking place in different quadrants of the body. It reveals the characteristic "footprints" which can be indicative of degenerative health conditions, such as bowel toxicity and reproductive, endocrine and skin challenges. There are many benefits to having your live and dry blood analysis. The analysis gives you early warning of possible upcoming health issues. Stresses on your body are often observable as abnormalities in the blood long before they manifest as symptoms. You see the genesis of symptoms before they are expressed. You can see how generally healthy you are, pH imbalances, indications of levels of toxicity, nutrient deficiency, free radical stress, the quality of your diet, how well the recommended programme may be working for you and how well your systems are working to detoxify your body. The information obtained by this screening test gives you the ability to make dietary changes which will help to restore balance and support your body's ability to heal itself. This analysis is one better than preventive medicine. It is pre-emptive medicine. If you take action to correct what you see, you can save yourself from ever developing the symptoms or conditions you can see first in the blood. HOW DOES IT HELP THOSE WITH CHRONIC CONDITIONS? Those with chronic conditions will benefit as well. The analysis is based on the medical science of haematology. Through a viewing of your living blood, more effective health strategies can be developed tailor-made just for you. As we will be able to track your progress visually, we are able to make valued evaluation of the program that we put into place. Everyone can benefit from seeing their own blood, learning more about how their body works and what they need to do to look after their health properly. "Healthy" people can see the early signs of imbalances which might lead to illness later on. The live blood analysis appointment lasts 60 - 90 minutes. I will ask questions and discuss your health and gain knowledge as to your health, history, diet and lifestyle and determine your blood type. The Live Blood Analysis involves a tiny non-invasive pinprick on the fingertip using a sterile disposable lancet, as in a glucose level test. The living blood is placed immediately onto a glass slide under a microscope where it is magnified 1000 times and is projected via a camera on to a screen allowing you to see the quality of your blood cells. Following this is the second technique of Dry Blood Analysis (The Oxidative Stress Test). The same blood which has been allowed to air dry is then examined under the high-powered microscope. You leave with your pictures and a report of what has been observed will follow. A follow-up consultation is usually scheduled for three or four months later giving time for the blood cells to renew themselves. Comparisons are made and changes in the blood picture are noted and monitored. Contact me today to schedule your consultation for Live & Dry Blood Analysis. Please note: Live and Dry Blood Analysis are NOT diagnostic tools and should not replace testing or advice from a qualified Medical Doctor. The analysis can provide general indications of health imbalances which can be used for educational and motivational purposes.